Adults come to CrownView Medical Group with a wide range of mental health concerns. We are able to customize a treatment plan for you whether you need a short-term course of therapy, medication for a mood disorder, or intensive treatment for a disorder that’s impacted your ability to live your life. You’ll work with one of our clinical team, who will custom-tailor a treatment plan using evidence-based techniques that will help you to feel better. If medication is indicated, your psychiatrist will carefully explain all aspects of medication and determine whether it should be used alone or in combination with psychotherapy. We have extensive services available in both inpatient and outpatient settings. You can successfully overcome your symptoms with the compassionate guidance and expertise of our dedicated psychiatrists and therapists, who bring both outstanding clinical and interpersonal skills to your treatment. Our long-standing experience and staying current with best practices in treatments for mental health conditions provide an integrated approach to help you heal, and handle what life brings. Over 44 million American adults have a mental health condition. 19.8 million (42.6%) received mental health services in the past year. Dianna is a licensed marriage and family therapist and a certified alcohol and drug counselor with a holistic approach to therapy. 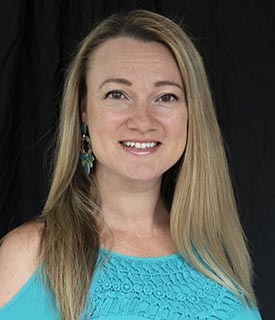 In addition to a Masters of Marriage and Family Therapy from Argosy University and a Bachelor of Arts from San Diego State University Dianna also studied massage and holistic health at the School of Healing Arts in San Diego. She has experience working in holistic substance abuse treatment as well as medication assisted treatment of opioid use disorder. She has helped support families through the turmoil of addiction and recovery. Her style is mindful and Solution focused. It is grounded in a personal practice of self-care which includes yoga, hiking, and community. She values the influence of a healthy community and self-care in treating patients. Her approach is Humanistic. This is a perspective that all humans have natural healing capacity which becomes blocked due to stagnation and/or depletion. A therapist’s job is to help the client unblock that natural healing process and discover how to tap into the family and community available. Many people struggle with a sense of discontent in their lives and the right therapist can guide a journey of inward discovery to remove those blocks. 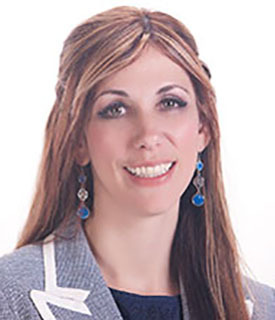 Dede Echitey is a Family Nurse Practitioner, board-certified by the American Academy Nurse Credentialing Center, and licensed by the states of Virginia and California to provide family-centered healthcare to patients of all ages. Her scope of practice encompasses health promotion, disease prevention, diagnosis and management of common and complex health care problems beginning in childhood and continuing throughout the aging process. Dede earned an Associate of Science degree in Nursing from Del Mar Community College. She continued her education, earning a Bachelor of Science degree in Nursing from the Kaiser University. She then completed a Master of Science degree in Nursing, with a focus in Family medicine, from Walden University. 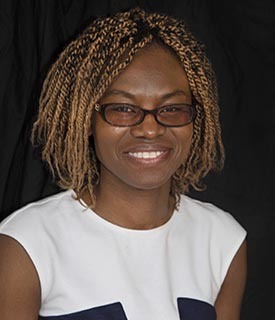 Dede began her career in nursing in 2010 and has been a family nurse practitioner since 2015. Her previous experience includes work in Inpatient Psychiatric Hospital, rural health and urgent clinics as well at the US Immigration Detention Center. She is qualified to diagnose and treat a wide array of conditions across the entire lifespan. Brianna is a Marriage and Family Therapist, licensed with the Board of Behavioral Sciences, license #48685. Tiffany Holm earned her Family Nurse Practitioner degree from Yale University and has been in practice over 10 years. She believes the happiness in our lives depends on the quality of our thoughts and mental wellness. One of her greatest joys is listening intently to her patients, then together, discussing individualized lifestyle modifications and evidence-based medication options to reach goals and ultimately, increase the happiness of those entrusted under her care. As a naval spouse and the mother of an autistic child, J. Heather Fitzpatrick, LCSW knows how difficult it can be to cope with adversity. As an experienced therapist, Heather is well equipped to help guide you towards a happy and fulfilling life. Heather earned her BA in Psychology from prestigious Clark University in Worcester, MA and went on to obtain a Masters in Clinical Social Work from well known Smith College in Northampton, MA. 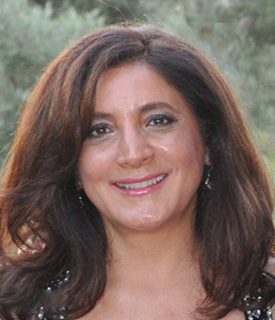 She has worked in the mental health field since 2001 and was last employed by Fleet and Family Services in Coronado, CA before entering private practice with Crownview Medical Center. Heather serves children, adolescents, adults, couples, and families using a variety of treatment modalities to help clients address issues such as depression, anxiety, trauma, PTSD, substance abuse, relational problems, parenting concerns, and life adjustments to name a few. gata is a Licensed Marriage and Family Therapist who provides guidance to individuals and families to feel more empowered in managing life’s obstacles, rebuilding important relationships and reaching their highest potential. She received her Master’s Degree in Counseling from San Diego State University. Throughout her career she has worked in a variety of settings helping culturally diverse individuals, children and families, struggling with emotional, social, developmental and academic issues. 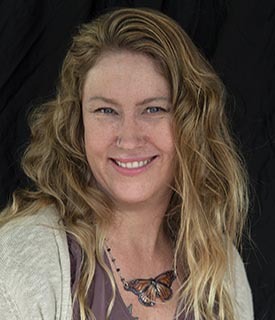 Her primary approach to therapy is collaborative, holistic and strength based, offering a compassionate and healing space where clients feel safe to explore their unique thoughts, beliefs and feelings. She has over 10 years of experience incorporating into her practice CBT, Narrative and Solution Focused Therapy, as well as Expressive Arts and Play Therapy. Agata specializes in, and enjoy working with, children and adolescents using Expressive Arts and Play Therapy techniques to which children respond very well and often prefer over traditional therapy. She is a Certified Parenting Coach of Redirecting Children’s Behavior and Joy of Parenting Program. From her personal experience being a mother to a teenage boy and stepmother of two children, she can relate and likes to help parents and step-families struggling with parenting issues. Dr. Philip Hammel earned his Doctorate (Psy.D.) in Clinical Psychology from the California School of Professional Psychology in San Diego. He has over 11 years of experience working with children, adults, and older adults in various settings, and has worked with individuals, couples, and families. He has been trained in various treatment modalities, including Cognitive Behavioral Therapy (CBT), Interpersonal Psychotherapy (IPT), Dialectical Behavioral Therapy (DBT), Trauma-focused CBT, and Parent Child Interaction Therapy (PCIT). In addition, he uses Acceptance and Commitment Therapy (ACT), mindfulness, Solution-Focused, Motivational Interviewing, and Narrative Therapy. Areas of expertise include depression, anxiety, gerontological issues, relationship conflict (parent/child, marital), men’s issues, life transitions, grief/loss, LGBT issues, and resilience. Dr. Hammel has a warm, friendly, and compassionate personality that when combined with sharp clinical skills and professionalism creates an ideal environment for personal growth for the clients he is privileged to assist. Dr. Moses earned her Master’s Degree in Professional Psychology from the Universitė de Nice Sophia Antipolis, Nice, France. She obtained her doctorate degree in Clinical Psychology from Alliant International University California School of Professional Psychology in San Diego, California. Dr. Moses has over 20 years-experience treating a wide array of psychiatric disorders with adults and adolescents. She has worked with clients who suffer from acute and chronic disorders in a number of settings including psychiatric hospitals, residential treatment centers and community agencies. 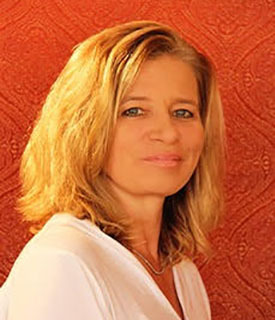 For the past 10 years, Dr. Moses has provided therapy at a drug and alcohol treatment center, with in-patient and out-patient services, focusing on her clients’ substance abuse and other co-occurring psychiatric disorders such as anxiety spectrum disorders, mood disorders-including depression and PTSD. In her private practice, Dr. Moses also provides psychological evaluation, pre-surgical psychological clearance, and psychological services to clients within pain management. She has extensive experience in psychological assessments with children and adults in a variety of settings. Her life experiences and years of practice have significantly enhanced her approach to therapy and she is passionate about her practice. 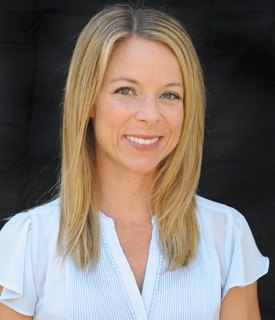 Dr. McKnight earned her Bachelor’s Degree in Psychology at UCLA and received her Doctorate of Psychology in 2009 from Alliant International University California School of Professional Psychology in San Diego, California. She has been licensed since 2010 and has over 10 years of experience in the mental health field at various locations and with different populations. Some of her work and training experiences include individual therapy, couples therapy, inpatient and partial hospitalization treatment, correctional (prison) psychology, PTSD study for the VA and long-term therapy and psychological evaluations with adolescents and adults. Most recently she worked with active duty military personnel at the Mental Health Clinic at the Naval Hospital Camp Pendleton from 2012-2014. She has maintained her own private practice since 2009 because she is passionate about therapy and psychological testing. Dr. McKnight treats adolescents and adults and provides individual and couples therapy as well as psychological evaluations. In her practice, Dr. McKnight focuses on a whole-person approach and incorporates CBT and mindfulness into her practice. Currently, she has dedicated her career to full-time private practice with clients at Crownview Medical Group and Crownview Co-Occurring Institute. 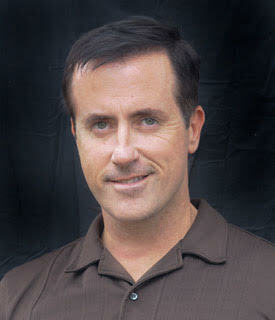 Arnold Block, Ph.D. is a Clinical Psychologist who has recently moved to the San Diego area. He earned his Masters Degree in Clinical Psychology from Pepperdine University and his Doctoral Degree from Claremont Graduate University. Dr. Block is a Licensed Psychologist in Maryland, where he previously lived, and California. He has been a clinical supervisor, teacher and mentor to many aspiring clinicians in his role as a faculty member at the University of Maryland Medical School Department of Psychiatry. Dr. Block has been in private practice for over twenty years and his clinical training has included a fellowship at the National Institute of Mental Health and an internship at Spring Grove Hospital Center in Baltimore, Maryland. Dr. Block has had the privilege of working with a large array of people , but his passion is providing therapeutic services to children, adolescents and families. With the stressors of modern life putting increasing pressures on parents and their children, it is vitally important we identify early interventions and strategies as a means of improving early coping skills and insuring healthy outcomes for children and families. Recognizing the need and importance of working with parents, schools and the community at large is a vital step in maintaining a positive environment for present and future generations. It is with great enthusiasm and commitment that Dr. Block brings his knowledge and experience to the Crownview Medical Team and the people of San Diego County. 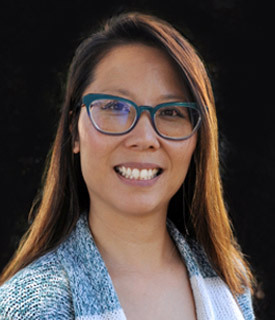 Christina Lam is dedicated Nurse Practitioner with years of nursing experience. Her background is in psychiatry, emergency, and critical care. She is a skilled communicator who is professional, personal, and very adaptable. She is self-motivated with energy, initiative, and focus. She has a keen insight into the needs and views of others. She is able to listen and identify issues or problem areas and form innovative solutions. Christina Lam graduated from University of San Diego. She is board certified as a nurse practitioner. She specializes in Children, Adult, Family, and Geriatric psychiatry. Dr. Melden earned his Doctorate in Osteopathic Medicine at Philadelphia College Osteopathic Medicine and went to USC Presbyterian Hospital for his residency in Family Medicine. He then completed his Psychiatric residency at the University of California, Irvine and went to UCSD Geropsychiatry pursuing a fellowship. Dr. Melden has over 14 years of experience as a clinician specializing in treating child and adolescent, adult and geriatric clients. He has devoted his life to psychiatry in a variety of different treatment settings including in- patient and out-patient environments. He specializes in the psychiatric evaluation, complementary therapy approaches, and medical management of individuals suffering from mental illness. Currently, he maintains a private practice with Crownview Medical Group in Coronado and Carlsbad, California where he is CEO/President. Dr. Melden is a dedicated medical professional who provides a spectrum of services from general care to specialized state-of-the-art treatment. He is committed to providing specialized and individualized services with a comprehensive treatment plan for each client he treats. Dr. Melden believes the optimal way to provide excellent care is through continued attention and maintenance. 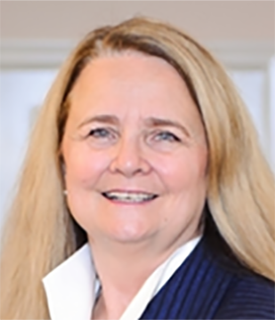 Dr. Cox is a board certified psychiatrist who received her education from the University of Kansas School of Medicine where she received her medical degree in 1986. She completed her residency in Psychiatry also at the University of Kansas School of Medicine where she was Chief Resident. Prior to medical school Dr. Cox taught science to junior and senior high school students. Her medical career has included serving in a rural setting, in community mental health, in a regional hospital based private practice and elderly residents of nursing homes. Dr. Cox specializes in the treatment of adult and geriatric psychiatry as well as having several years of experience working with active duty and veteran soldiers and their dependents. Dr. Nathan Kuemmerle graduated from UC Irvine-College of Medicine with General Adult Psychiatry Residency training in Los Angeles. 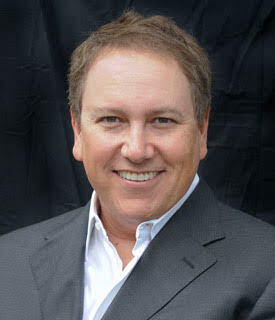 He has trained extensively in UCLA, Cedar-Sinai, VA and L.A. County systems. As an outpatient psychiatrist, Dr. Kuemmerle has worked extensively in California, including Downtown Los Angeles, Northern California, South Central, West L.A., and now Carlsbad. Dr. Kuemmerle has been in actual private practice for five years and has continued to stay updated in the latest and best medical treatments for all psychiatric diagnoses. Dr. Kuemmerle was born in San Diego, lived locally, and attended Torrey Pines High School in Del Mar, California.